As a current LEAD Scholar, this is your resource to stay informed about fellow LEAD Scholars, upcoming events, career development opportunities, and more. Get to know your fellow LEAD Scholars by discovering where they hail from and what they’re studying. All LEAD Scholars (Ann Arbor) are expected to participate in a minimum of two (2) LEAD Scholar Community Events per semester. Bolded events are peer-led community events hosted by the LEAD Advisory Board. Italicized events are in collaboration with the Alumni Association Development Team through an application process. 31 (Friday) Freshman Open House Alumni Center 11:30 a.m. - 1 p.m.
9 (Sunday) LEAD Advisory Board Retreat Alumni Center 11 a.m. - 2 p.m.
12, 19, 26 (Wednesday) Welcome Wednesday Peer Mentor Meet Ups Alumni Center Anytime between 8 a.m. - 12 p.m.
14 (Friday) Freshmen Cohort Retreat Challenge Course 4:30 - 9:30 p.m.
16 (Sunday) Mentorship Mixer Alumni Center 1 - 5 p.m.
18 (Tuesday) Google Career Fair Prep: Interviews, Personal Brand, & Crafting Your Elevator Pitch Alumni Center 6 - 7:30 p.m.
23 (Sunday) Fall Community Kickoff Alumni Center 1 - 3 p.m.
2 (Tuesday) CIA Event Alumni Center 5 - 7 p.m.
4 (Thursday) Dinner with 5 Wolverines with the MLK Scholars Blue Tractor BBQ 6 - 7:30 p.m.
10 (Wednesday) Summer Opportunities Workshop @ U-M, hosted by Michigan Mentorship/OAMI Rackham Assembly Hall 5 - 7 p.m.
19 (Friday) Family Feud Alumni Center 5 - 7 p.m.
29 (Monday) Stress Relief Spooktacular Alumni Center 6 - 8 p.m.
4 (Sunday) Women in LEADership Rackham 11:30 a.m. - 2 p.m.
9 (Friday) Community Extravaganza Hunter House Burgers 5 - 7 p.m.
13 (Tuesday) Google Workshop Alumni Center 6 - 8 p.m.
16 (Friday) Dinner With 5 Wolverines Cottage Inn 6 - 8 p.m.
20 (Tuesday) Dinner With 5 Wolverines – Dearborn PF Chang’s 3 - 5 p.m.
7 (Friday) Study Abroad Panel Alumni Center 5 - 7 p.m.
13 (Thursday) Study Lounge & Gift Exchange Alumni Center 12 - 5 p.m.
12 (Saturday) Winter Kickoff: Ice Skating at Yost Yost Ice Arena 12:30 - 2:30 p.m.
30 (Wednesday) Dinner With 5 Wolverines Cottage Inn 6 - 8 p.m.
12 (Tuesday) Professional Development with Google Alumni Center 6 - 8 p.m.
TBD Hail Yeah! 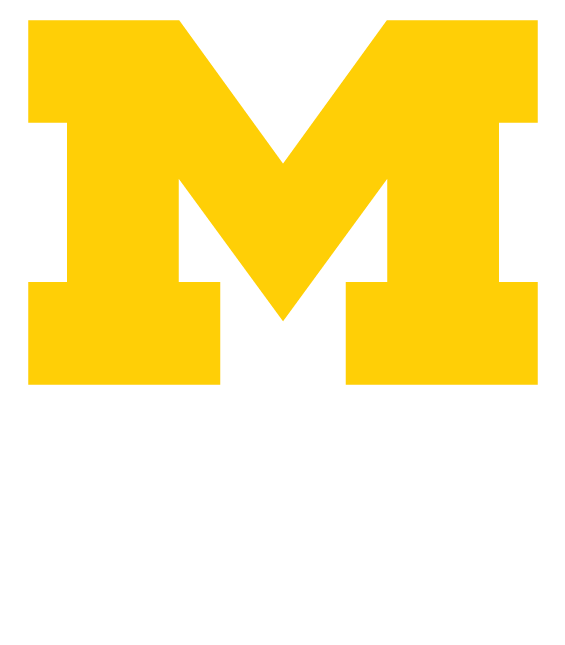 & Scholar Calling Party Alumni Center 5 - 7 p.m.
19 (Tuesday) Dinner With 5 Wolverines Jolly Pumpkin 6 - 8 p.m.
TBD Career Closet Career Center 5 - 7 p.m.
24 (Wednesday) Study Lounge & Relaxation Zone Alumni Center 12 - 5 p.m.
2 (Thursday) LEAD Senior Celebration Alumni Center 5 - 7 p.m.
On mobile? Please rotate your screen to view the full calendar.